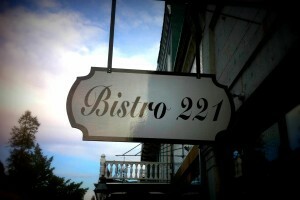 I was honored to be invited to a “friends and family” dinner at Bistro 221. 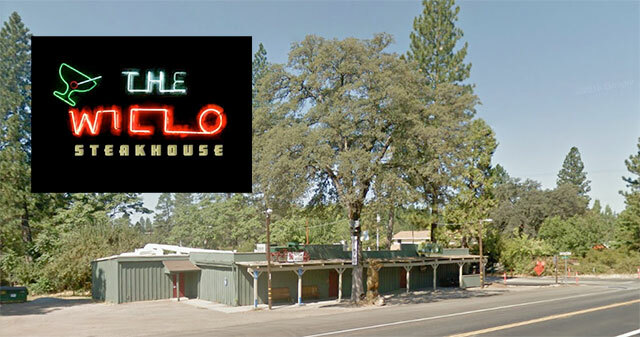 It’s the newest eatery in downtown Nevada City located at the old Lefty’s site. Melissa, the owner, along with her wonderful staff and chef, Christian, presented a fabulous feast! 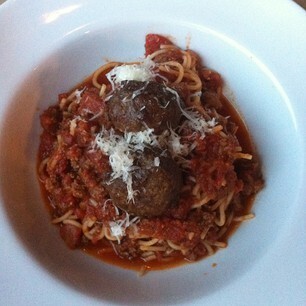 They serve down home, comfort food…like your mother’s, only better! The staff is like one big happy family, most having worked together over the years at Cirinio’s. 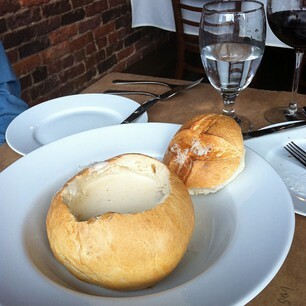 We were generously served samples from their menu starting off with creamy Deviled Eggs, a delicious Clam Chowder in a warm bread bowl, a Wedge Salad and a Caesar Salad. Next up was Mac n Cheese with Chitlins, Spaghetti and Meatballs, Herbed Chicken with Mashed Potatoes, Short Ribs with Goat Cheese Polenta, and a Bacon Avocado Burger. My head was spinning from all the great taste sensations! Of course, dinner would not be complete without dessert which included a Lemon Curd Tart, Flourless Chocolate Ganache, Crème Brulee and German Apple Cake. 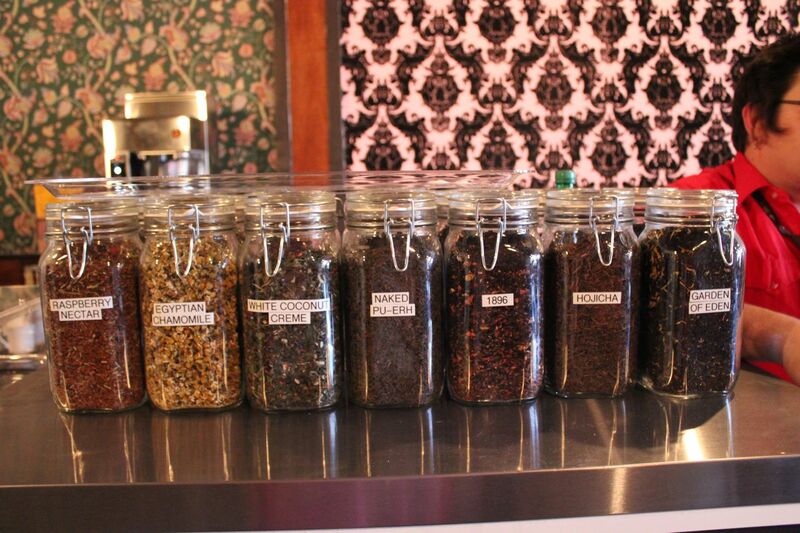 Choosing a favorite would be impossible…maybe they should offer a dessert sampler on their menu! 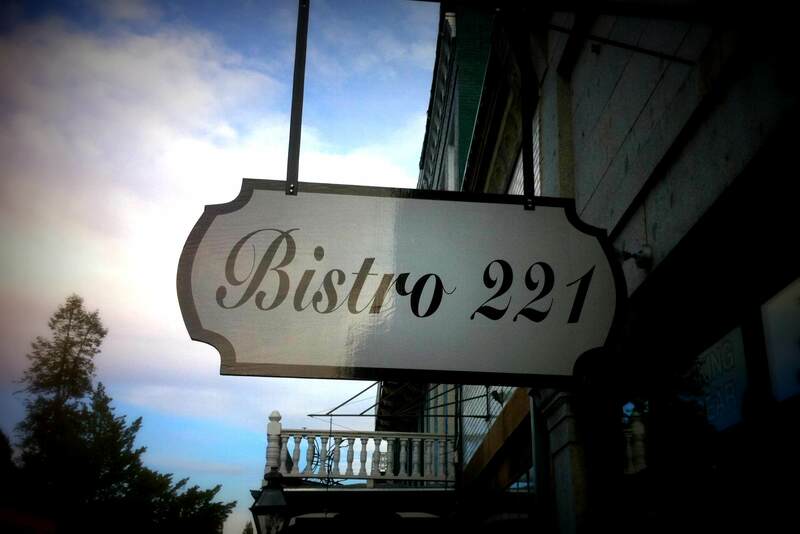 Bistro 221 opens this Friday so be sure to drop in! You won’t be disappointed and you will most certainly leave with a warm heart and a full belly! 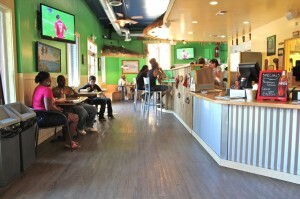 Cool Runnings Jamaican Grill, a new restaurant with a reggae feel, opened in Nevada City this week on July 27th, the opening day of the Olympics. This new grill has a unique menu unlike any other in town. Cool Runnings has a wide variety of traditional Jamaican dishes, including curry chicken, curry goat, jerk chicken, jerk pork, roast fish, brownstew chicken, brownstew fish, fried chicken, escovitch fish, oxtail, rasta pasta, ital stew, festival, plantain, and fried dumplins. 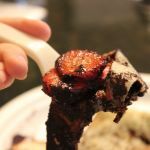 We tried the jerk chicken, which has a little bit of kick, the fried chicken, which was hot out of the frier, and brownstew chicken, which was sweeter and fell apart in your mouth. 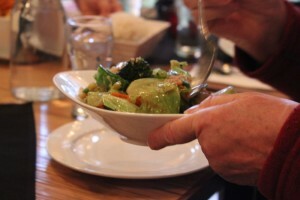 Each of our meals had a generous serving of the main dish. All the meals include tasty rice and seasoned cabbage and carrots. Meals are $5-$12 and sides/small dishes are $3-$5. This new grill will be opened for lunch and dinner Monday through Saturday. 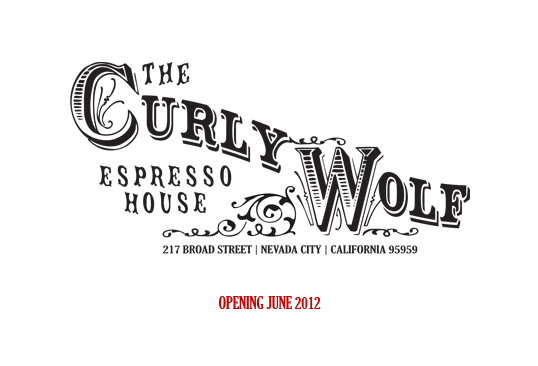 Nevada City local, Joshua Henry, has opened Curly Wolf Espresso House, a fun new coffee shop on Broad Street, near Lefty’s Grill and the National Hotel. They got the name “curly wolf” from old miner slang for a tough or rugged man. 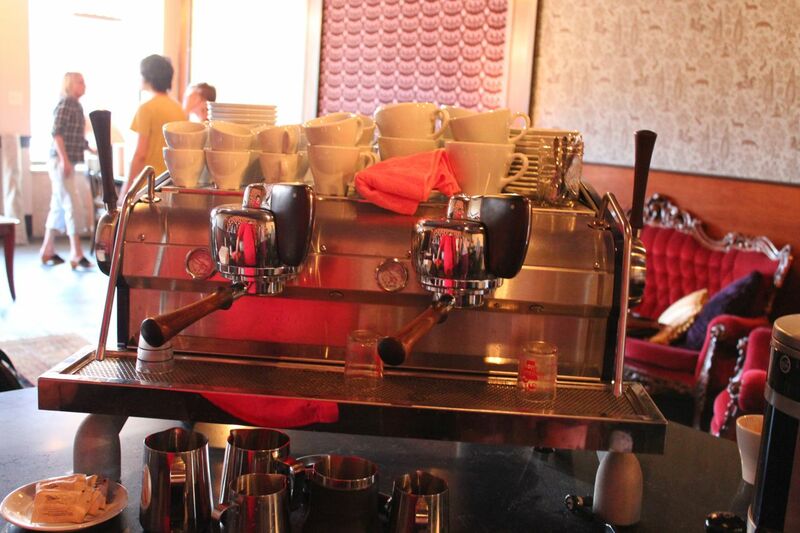 The general manager, Stephen, is an experienced barista. 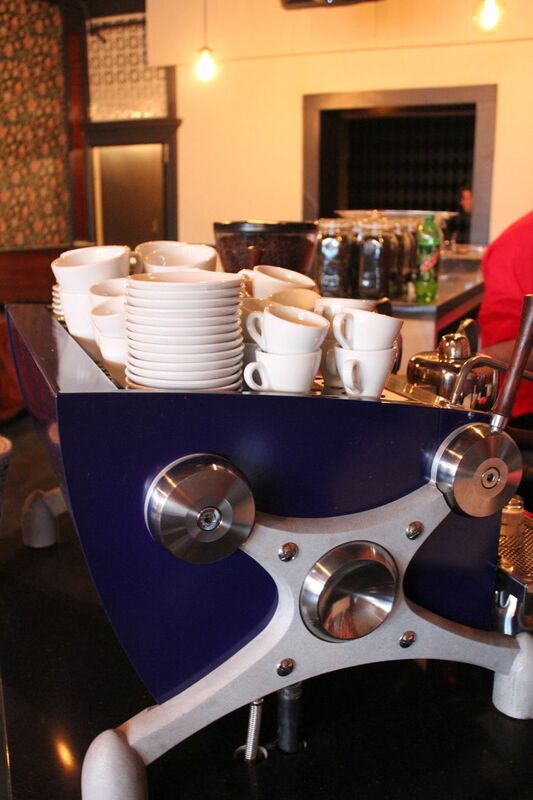 He takes much pride in their beautiful Slayer espresso machine, hand built by a two-man crew in Seattle. 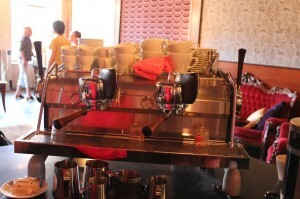 They brew Caffé Vita coffee, a dark roast from a small company also from Seattle. 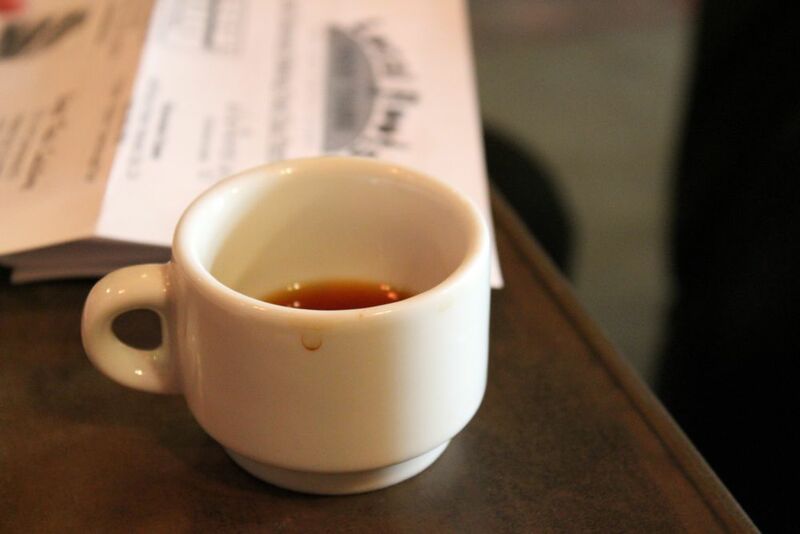 At Caffé Vita, the coffee is roasted by hand in small batches on a 1930s Probat cast metal roaster The coffee is freshly ground cup-by-cup in a Mahlkönig coffee grinder. 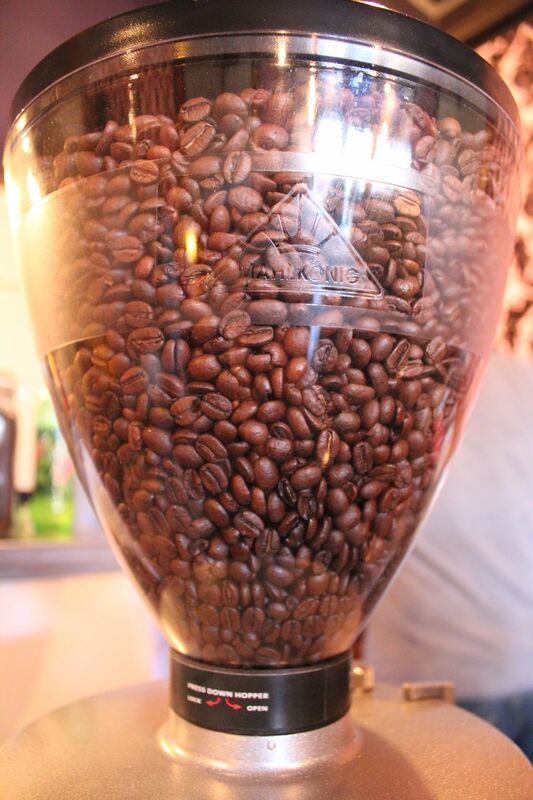 The German company founded in 1924 specializes in high-quality grinders that concentrate on emphasizing the natural flavors of the coffee. This new coffee shop has a very comfortable and elegant atmosphere, with couches and window seat, perfect for reading a book or catching up with friends. 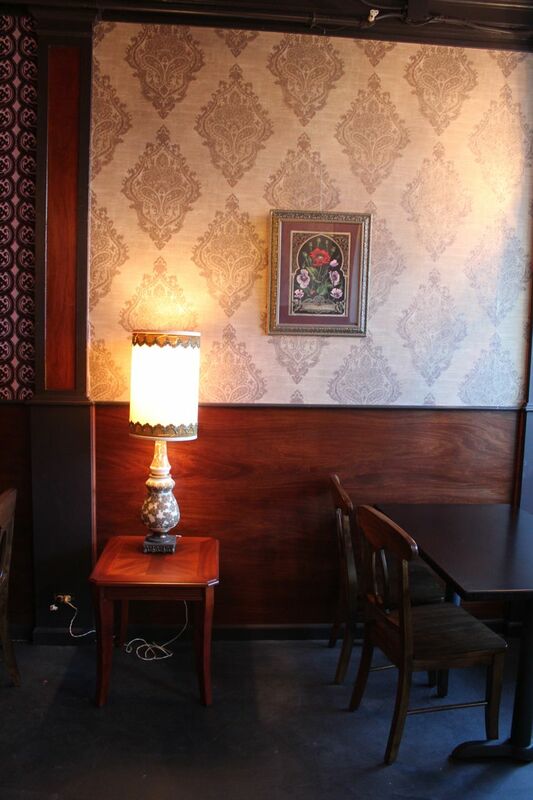 Curly Wolf is set apart from the rest of the cafés in town by staying open late until midnight on weekdays and 2 a.m. on weekends. They hope to eventually stay open 24 hours in the summer. 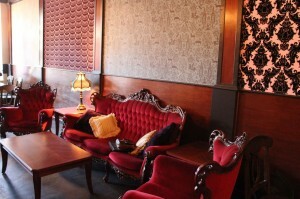 Curly Wolf will be a great place for locals and tourists to go after a late dinner or a movie. Check out more photos on our Flickr HERE. 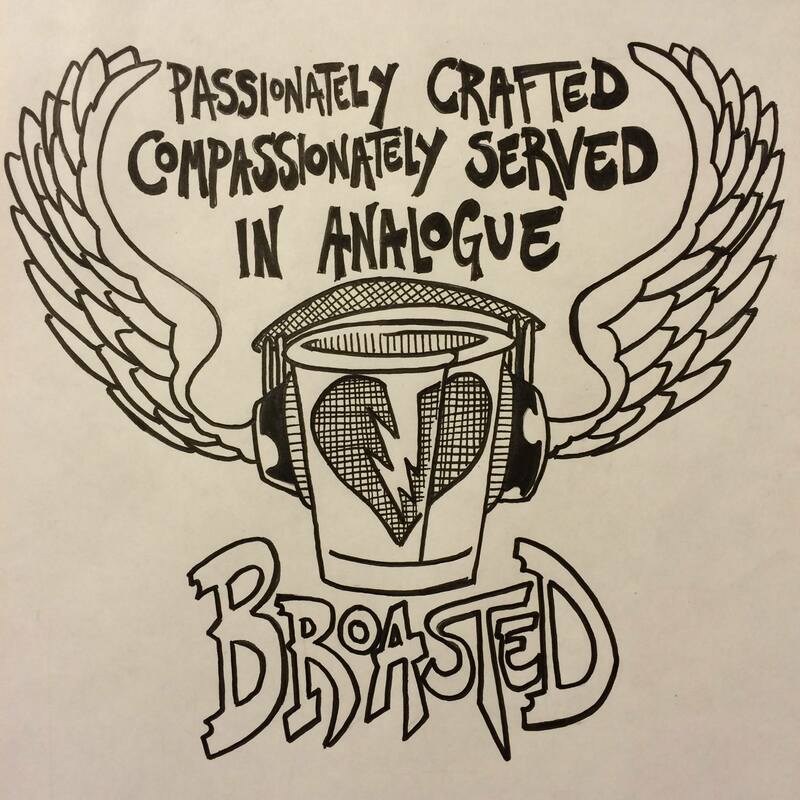 The coffee shop held a soft opening tonight with live music at 7:30 with a $5 cover. 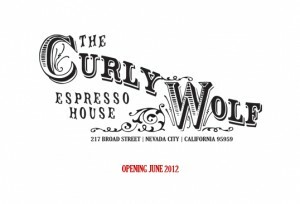 You can find Curly Wolf Espresso House at 217 Broad Street, Nevada City, California. 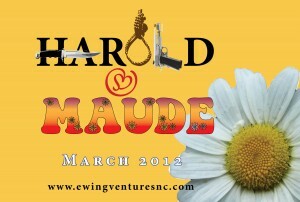 Ewing Venture Productions presents Harold & Maude from March 1 through March 25 at Nevada Theatre. Based on the 1971 film, this cult comedy tells the tale of Harold, a young man obsessed with death, falling in love with Maude, a 79-year-old woman who feels she’s lived her life. In their time spent together, Maude teaches Harold some of life’s greatest lessons. Tickets range from $15-$25 and can be purchased online HERE. The 2nd Annual Burnal Equinox takes place on March 3 from 12:00 P.M. to 1:00 A.M. at the Miners Foundry. This event features Burning Man related vendors, food, costumes, mini camps, and more. There will be live entertainment, including Albino! a 10-piece Afro-funk band from San Francisco. Purchase tickets in advance online HERE. Come join us at the 23rd Annual Psychic Fair where you will enjoy lectures, workshops and readings. There will also be vendors offering artisan jewelry, clothing, lotions and potions, and gems and crystals. Entertainment includes music by Lasher Keen, The Blackbird Quartet, the Billzillionairs, and belly dancing. This event takes place on March 24 from 11:00 A.M. to 7:00 P.M. and March 25 11:00 A.M. to 5:00 P.M. at the Miners Foundry and costs only $5.00 per person. 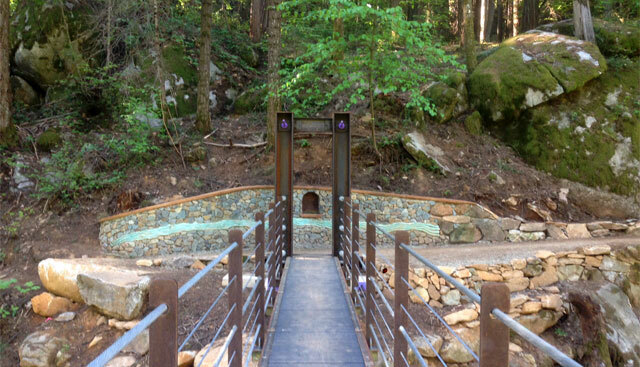 Looking for a way to learn about Nevada City? 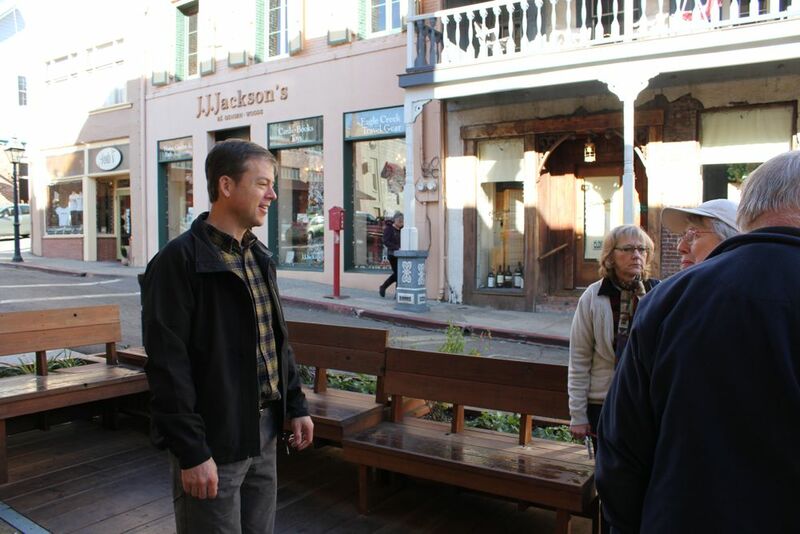 Whether you’re a local, a first time visitor, or a regular in town, a food tour is a great way to learn about the history of Nevada City, try the different restaurants, and feel truly immersed in the town. 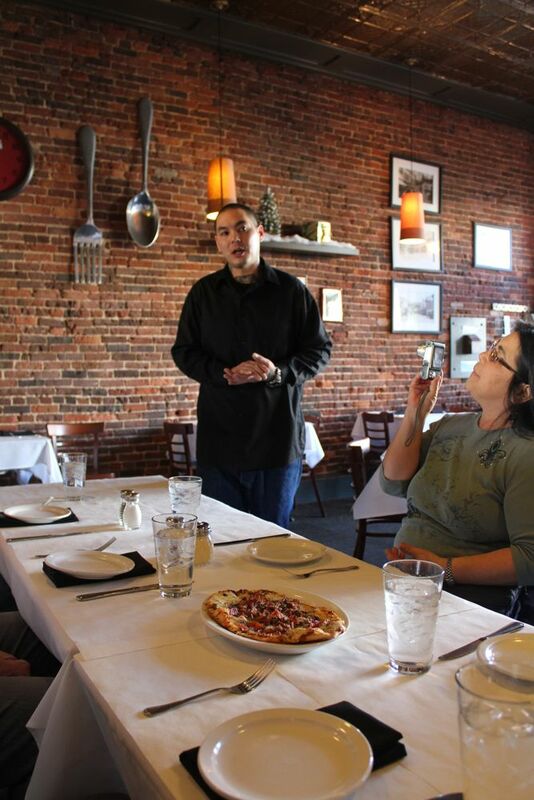 Eric and Lisa have a food tour business, Local Roots Food Tours, where they take patrons on a tour of the town, while incorporating food and history. 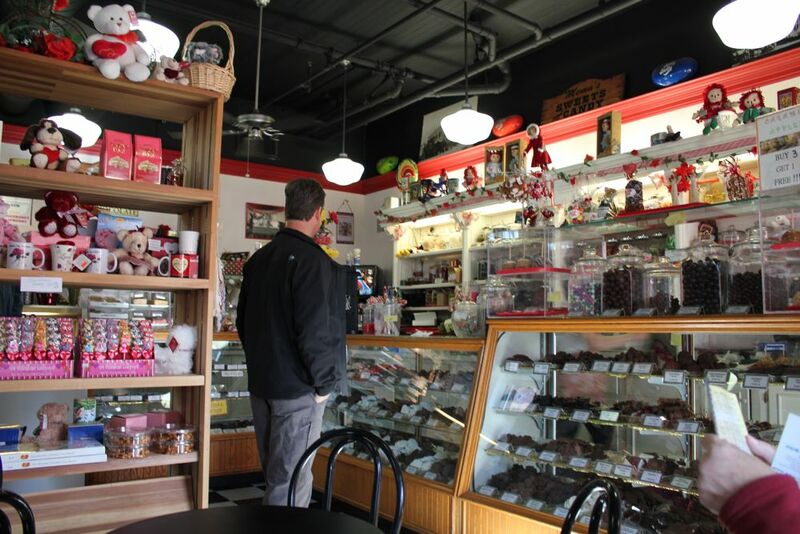 Eric and Lisa are locals who live in Grass Valley and started doing food tours in Sacramento. 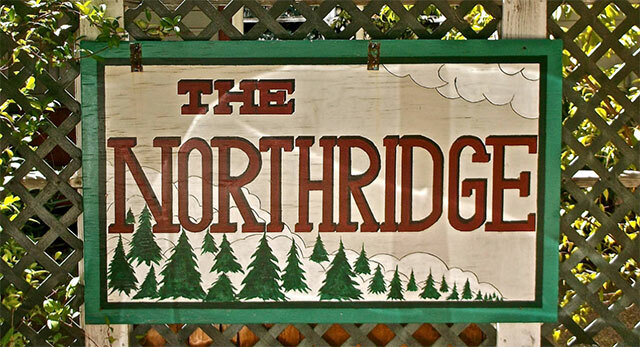 They saw how successful it was down there, that they decided to expand their business to Nevada City. I joined in on Eric’s tour last weekend and learned so much about the place I call my hometown! The tour meets at Calahan Park, then heads over to Cafe Mekka. 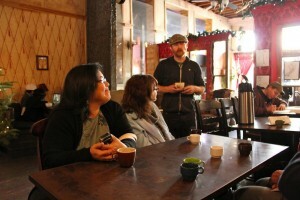 Cory, the owner, gave each person on the tour a taste of three of his favorite coffees. 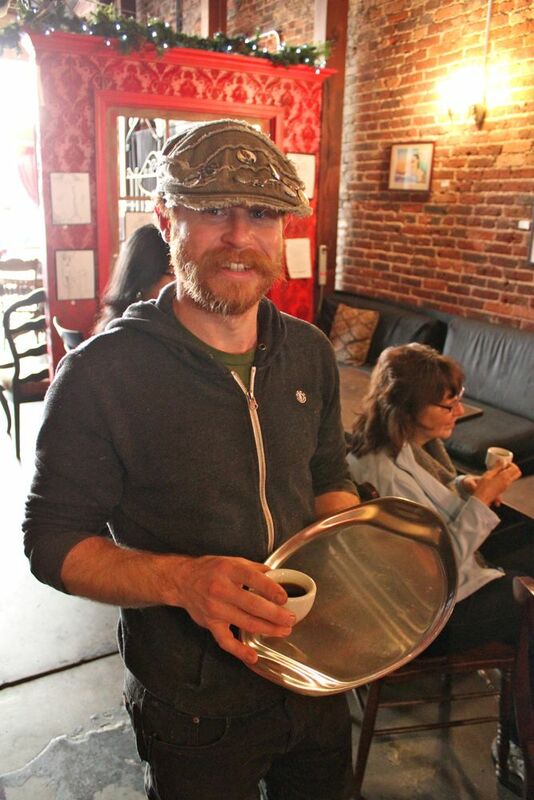 He also talked about where he gets his coffee, which is from Temple Coffee Roasters out of Sacramento, (we buy our coffee from him, so if you stay with us, you can taste some of the delicious Temple coffee!) and why he prefers it over other roasters. Eric then took us over to the National Hotel where he talked about the history of the hotel and its significance of the town and the Gold Rush. We then went to Lefty’s Grill where we tried their delicious Italian Butcher pizza. 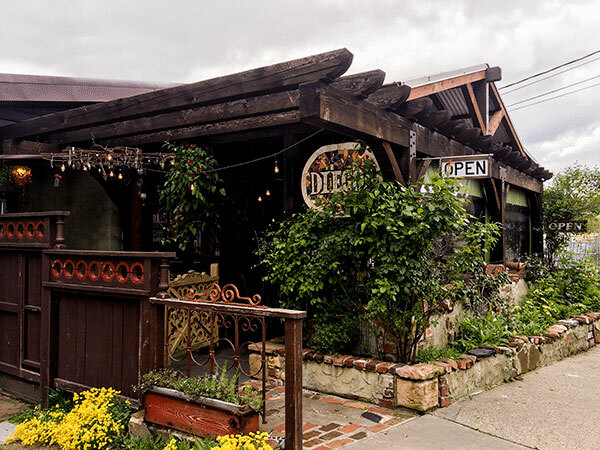 Lefty’s has won awards for their Napa Style Pizza, which has a balsamic drizzle over pears, gorgonzola, mozzarella, olive oil, and fresh herbs. 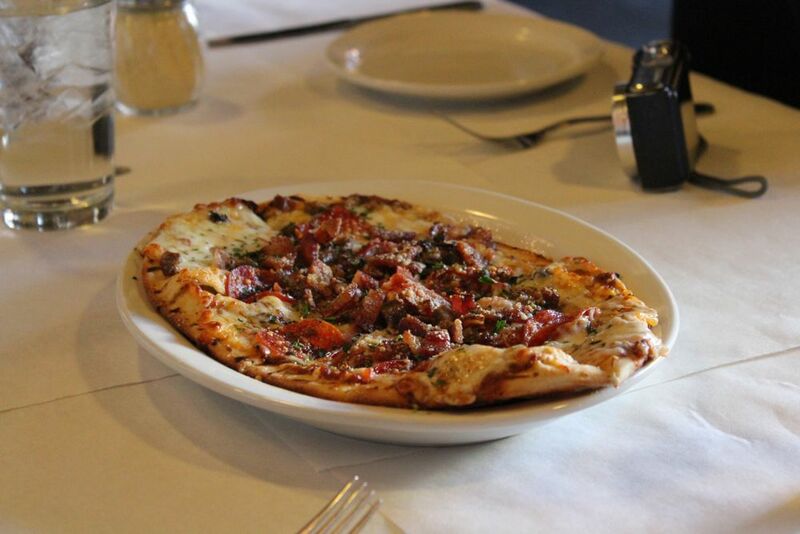 Their flat bread pizzas are all grilled in the pizza oven. 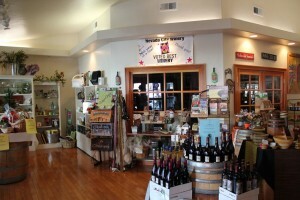 Once we left Nevada City Winery (which took much coaxing! 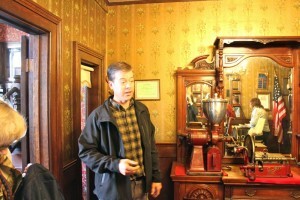 ), Eric talked about the history of the Miners Foundry. We then headed up to Elevensies where we got to try both sweet (Pumpkin Pie) and savory (The Petey Pie) crepes. 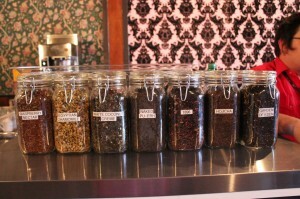 (Read my blog from when Elevensies first opened, HERE.) While everyone was munching on their crepes, Eric led us up to our place, where everyone got a brief tour of the Broad Street Inn. We headed back downtown and enjoyed some delicious homemade treats from the Nevada City Chocolate Shoppe. They gave us samples of their famous Gold Miners’ Delight and a pecan turtle. After everyone finished–and after a few bought some fudge–we headed over to Sopa Thai. 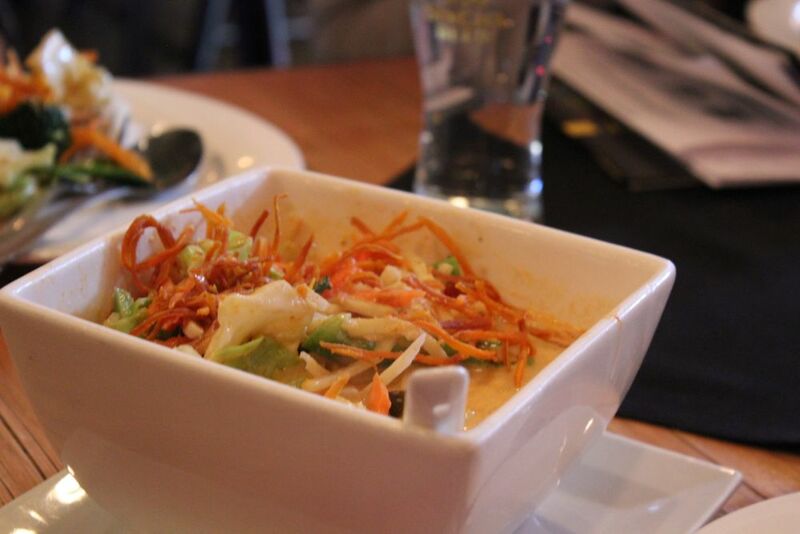 They brought out a few of their most popular dishes, which were all big hits. We were running short on time so we didn’t go up Coyote Street. 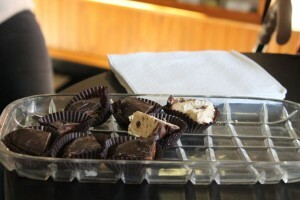 We then went to Deer Creek Inn where we were offered yummy homemade cookies. The tour then ended at the Stonehouse. The tour was 3 hours long, but went by very quickly. 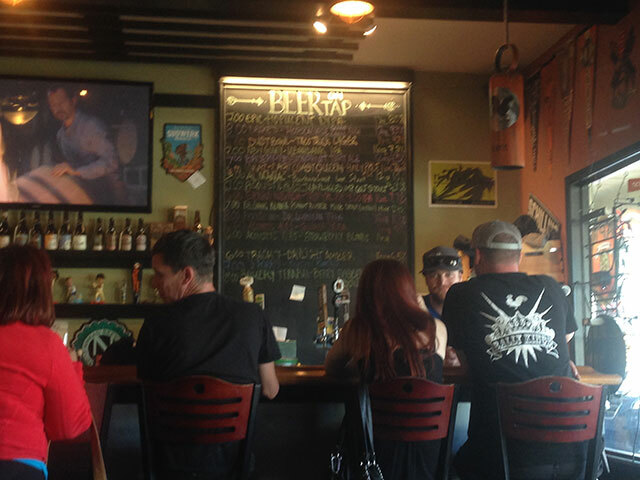 Patrons leave full of delicious food and a good idea of places they would like to return to. 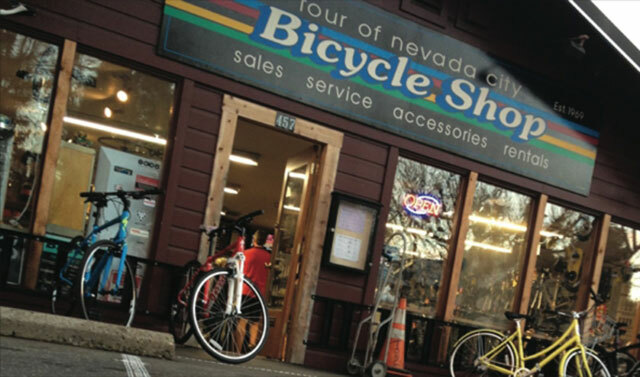 We highly recommend going on this tour whether you know the town like the back of your hand or it’s your first visit to Nevada City! 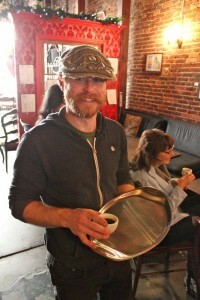 Don’t forget about their food tour in Sacramento too! For more photos from the tour, check out our Flickr page HERE. 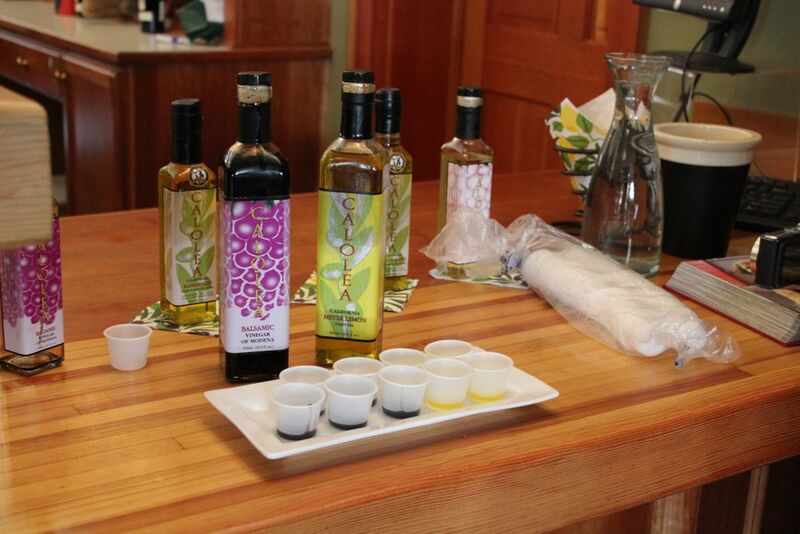 Read their awesome reviews on TripAdvisor or write a review if you loved your tour! 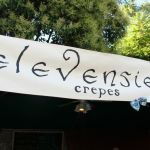 Elevensies Homemade Crepes opened yesterday in Nevada City where the hot dog stand once was. 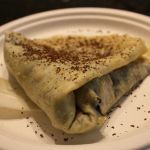 Owners Cole and Ari make delicious crepes (gluten-free options, and possibly vegan options later) from organic ingredients. 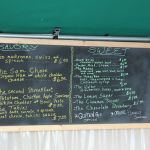 They named their crepe stand after the meal that Hobbits (from Lord of the Rings) eat between second breakfast and lunch. 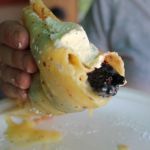 They offer both sweet and savory crepes. Yesterday I tried the strawberry chocolate crepe, made with Belgian chocolate and fresh strawberries. Today I got the Sam Chase, which is ham and white cheddar, and my mom got The Mamas crepe (a delicious combo of Meyer lemon curd, poppy seeds, blackberries, and topped with whipped cream). They have all been so tasty! It’s been a little tricky to photograph, but here are a few pictures. Write or read reviews on Yelp! 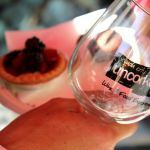 Nevada City Uncorked was a great success this past weekend. Locals and tourists filled the streets, wine glass in hand. For $40 at the door, patrons received a commemorative wine glass (also used for tasting), 5 food tickets that could be redeemed at any of the locations, and wine tasting from 21 different wineries (and a couple breweries). Over 300 tickets were sold. 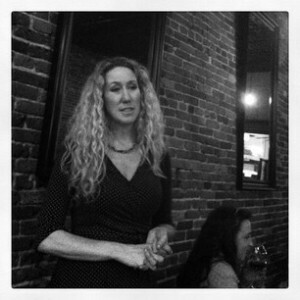 Wine tasters had a great time at Broad Street Inn. 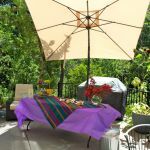 We set up chairs, tables, and umbrellas for the patrons. 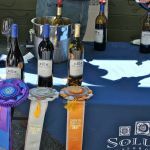 Solune Winegrowers were serving the wine, and Broad Street Bistro was serving the food. To read more about the event, click HERE. Here are a few pictures from the event. See more on our Flickr, or click HERE. 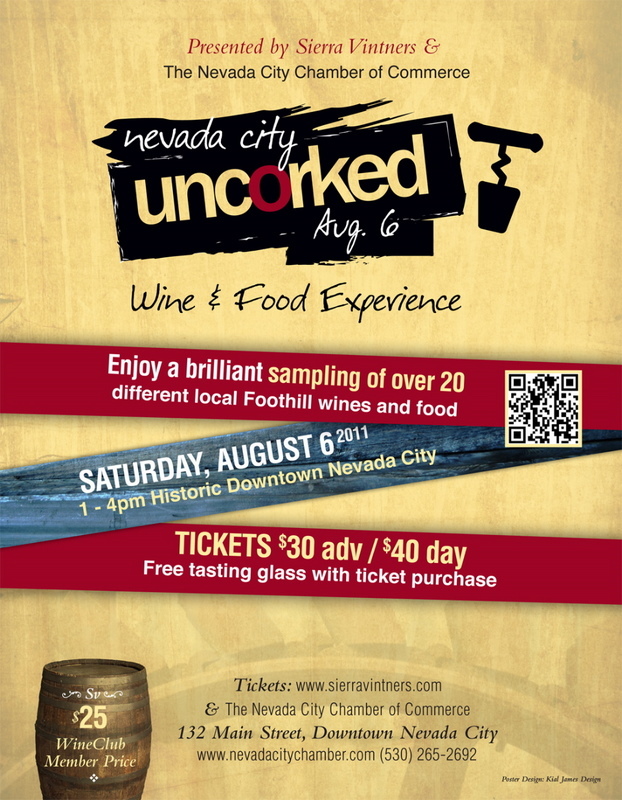 The Nevada City Chamber of Commerce and the Sierra Vintners present Nevada City Uncorked, a Food and Wine Experience. 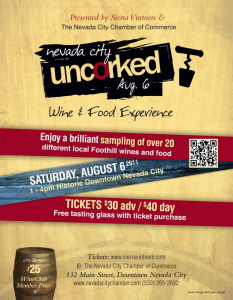 This Saturday, August 6, from 1:00-4:00 p.m., over 20 wineries, restaurants, and venues will participate in this event. After some last minute changes, we have been added as a venue! 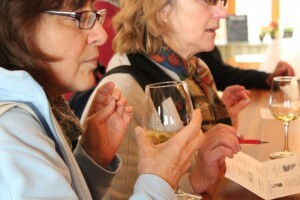 Similar to the Wine Stroll in June, patrons will walk from venue to venue, taste wine, and eat. 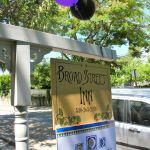 All of the locations are walking distance and include Broad, Commercial, Spring, and Pine Streets. 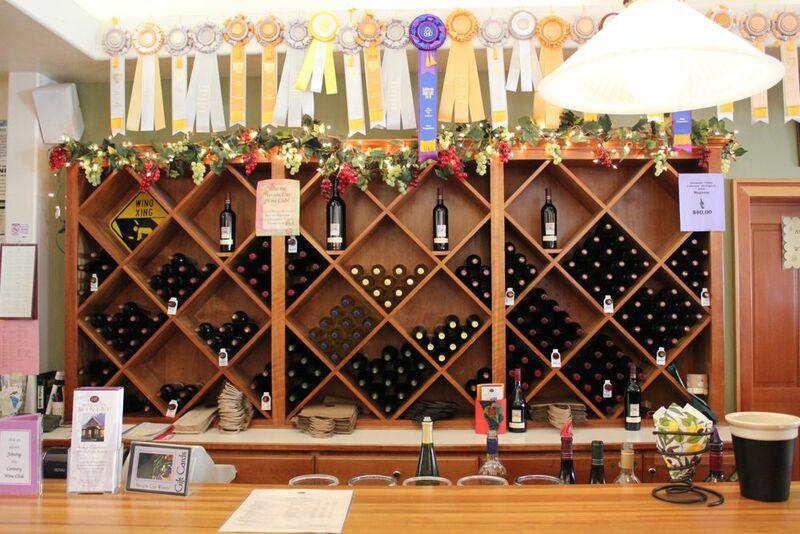 Some of the wineries that will be attending include Nevada City Winery, Szabo, Lucchesi, Pilot Peak, and many others. Friar Tuck’s, Deer Creek Inn, J.J.Jackson’s, as well as plenty of other locations, will be serving food and wine. 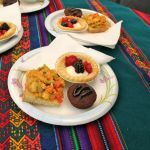 Food will be provided by several different restaurants and caterers, including Sopa Thai, Way Yum Sushi, and Fudenjuice. Tickets for Sierra Vintners Wine Club Members are $25. Tickets for non-members are $30 in advance, $40 at the door. Your ticket includes a commemorative wine glass for wine tasting, and 5 food tickets. Additional food tickets are available for 2/$5 or 5/$10. 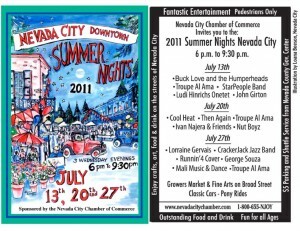 Summer Nights has been a tradition in Nevada City for many years now. The fun street fair is entertaining for both children and adults. Broad and Commercial Streets are shut off to vehicles so the streets are open for vendors and patrons. The stores and restaurants are open and vendors line the streets with art, fresh veggies, and hot dinners. At the top of Broad Street, a live band is always playing where visitors usually start dancing. 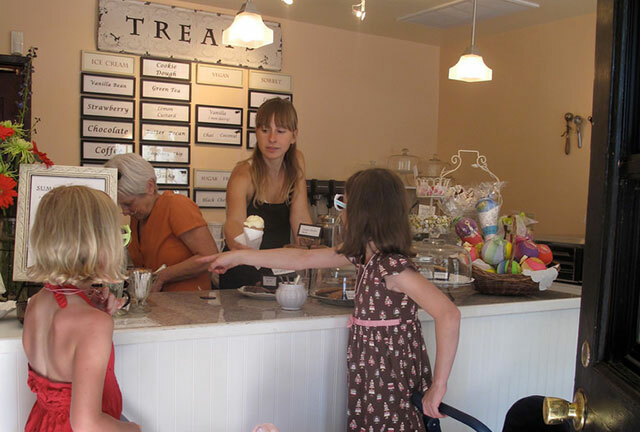 There are pony rides for kids as well as a craft table set up outside of My Favorite Things where Tina, the owner, sits with kids (and adults) and provides all of the glitter, glue, and all of the girlie supplies you need. At the bottom of the hill, the food court sits in the Bank of America parking lot. 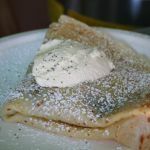 Calla Lily Crepes serves fresh, hot crepes (sweet or savory options) using organic ingredients from local farms. Many other food vendors fill up the lot, including a beer booth and homemade kettlecorn. There is no admission to the street fair, but definitely bring your wallet for dinner, ice cream, and goodies from the vendors. Parking is limited in Nevada City, especially since Broad and Commercial are shut off to vehicles. 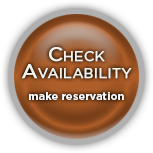 We recommend arriving early, or carpooling, if you are coming from out of the area. 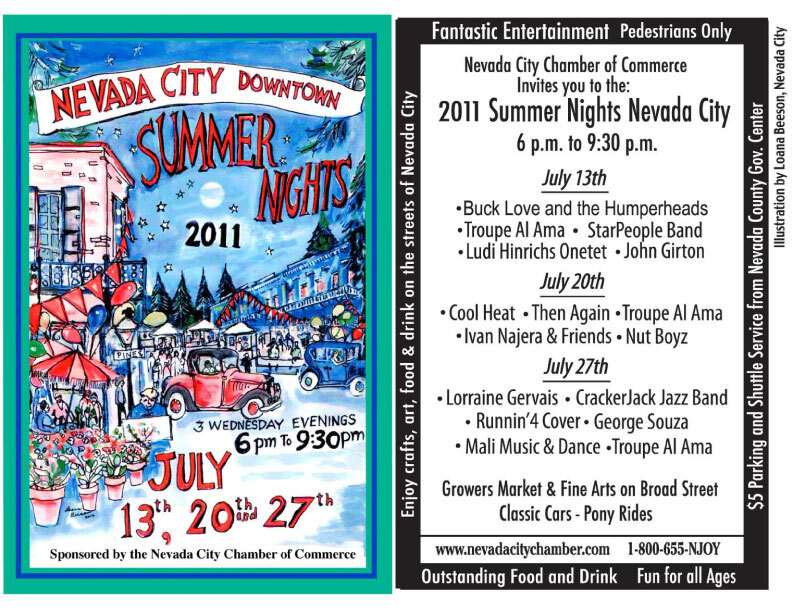 Summer Nights takes place in downtown Nevada City for three Wednesdays, July 13, 20, and 27 from 6:00-9:30. 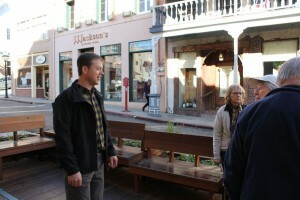 For questions or more information, call the Nevada City Chamber at 1-800-655-NJOY or 530-265-2692.